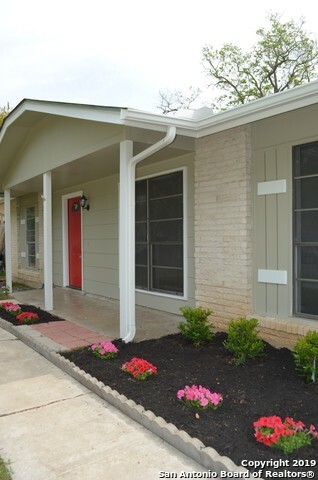 All Babcock Place homes currently listed for sale in San Antonio as of 04/24/2019 are shown below. You can change the search criteria at any time by pressing the 'Change Search' button below. "This charming home offers comfort & style! This home features beautiful wood laminate through out the house, a spacious kitchen with new quartz counter tops and new GE appliances, Natural light filled dining area/sitting room, 2 living areas, newer roof and plenty more new to enjoy!. Conveniently located near the Medical Center, UTSA, & shopping! Schedule today for a private tour of this great home!" "Offers will be accepted until Tuesday 4/23/19 at 5:00. Fabulous single story home that is ready for a new owner. This home has great curb appeal, has a 2 car garage & mature trees. The backyard is perfect for entertaining with a large deck & covered space. You will be impressed with the spacious living room that's open to the kitchen. Kitchen features a breakfast bar, stainless steel refrigerator, ss dishwasher & white stove. This home has zero carpet - laminate and tile flooring throughou"
"Great home in a great neighborhood with amenities. Close to UTSA, USAA, La Cantera, the RIM and much more. BRAND NEW, NEVER BEEN USED...REFRIGERATOR, STOVE, DISHWASHER AND MICROWAVE. Within walking distance to schools and family friendly entertainment. BRAND NEW CARPET UPSTAIRS."